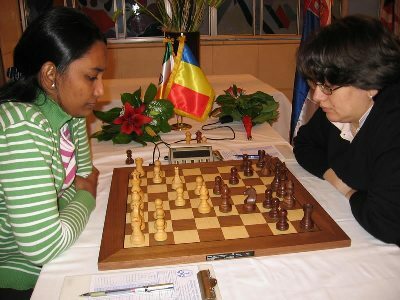 The 41st International Women Chess Tournament took place on 3-11th March in Belgrade. One of the longest running chess tournaments in the world, established back in 1963, is celebrating 8th March – International Women’s Day. Following the last decade’s decline in sponsorship, the event is slowly losing on significance, and the calendar is already seized by the Ataturk Tournament, now even raised to Grand Prix level by FIDE. In addition, the ECU has scheduled European Women Chess Championship in the same time frame. 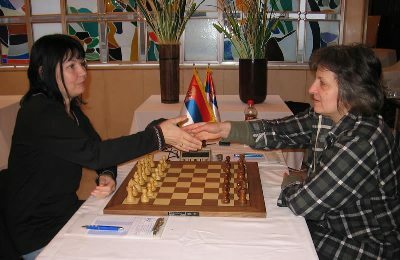 Thus, even Serbian Champion WGM Andjelija Stojanovic decided to play in St. Petersburg, in the tournament which is a qualifier in the world championship cycle. 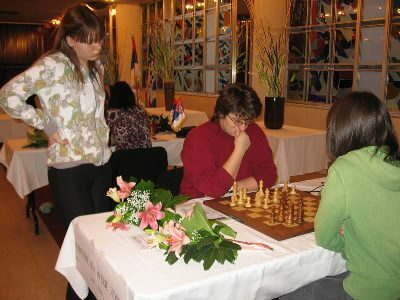 WGM Benderac Ana and WGM Chelushkina Irina, both members of the national team champion Radnicki Rudovci, have shared the first place with 6.0 points each. Benderac took the trophy on better additional criteria. 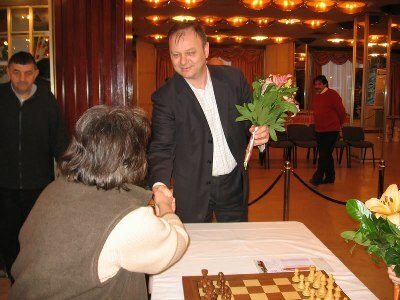 As always, Chelushkina played sharp and exciting games, which resulted in 5 wins, 2 losses and only 2 draws. Marija Rakic also performed extremely well, and although still untitled, she is set to cross the rating barrier usually amounted to WGM title. The tournament is organized by Belgrade City Council and Belgrade Chess Federation, the playing venue was a beautiful hall in Hotel “Slavija”. Last year winner was IM Natasa Bojkovic.